Environmentalists are celebrating a big win after a federal court ordered regulators to take a closer look at a natural gas pipeline's impact on climate change. A panel of judges yesterday sided with the Sierra Club, ruling that the Federal Energy Regulatory Commission failed to adequately consider downstream greenhouse gas emissions from the Southeast Market Pipelines Project — a network that includes the contentious Sabal Trail pipeline in Florida. The U.S. Court of Appeals for the District of Columbia Circuit vacated FERC's approval of the project, a portion of which is already in service, and ordered the agency to take another look (Greenwire, Aug. 22). The decision may push the project out of service, but the D.C. Circuit has not yet issued a mandate. Many environmental lawyers see the decision as a game-changer for gas pipelines and beyond. "It's a very significant decision coming out of the D.C. Circuit because FERC and other federal agencies, especially under the Trump administration, have tried to really limit their review and not fully grapple with all of the impacts of their decisions and their approvals," Sierra Club attorney Elly Benson told E&E News. Benson and other experts expect the ruling to have broad impacts on other challenges dealing with climate analysis under the National Environmental Policy Act. "The issues here are going to be analagous in a lot of other contexts where a federal agency is approving a project where it's reasonably foreseeable, and in fact entirely foreseeable, that that fossil fuel is going to be combusted, which will release greenhouse gases, which contributes to climate change," she said. "That situation arises all the time, and I think this opinion will be applicable in those circumstances." The 2-1 decision directs FERC to dissect downstream climate impacts of the Southeast pipelines or offer a better explanation for why it's not doing so. Judge Thomas Griffith, a George W. Bush appointee, wrote the opinion, joined by Judge Judith Rogers, a Clinton appointee. Judge Janice Rogers Brown, another Bush appointee, dissented. FERC and industry lawyers declined to comment on the decision, but many court watchers expect the agency and pipeline backers to ask the D.C. Circuit to reconsider. "My assumption is that this decision will be appealed, either for an en banc rehearing or to the Supreme Court," said Michael Burger, executive director of Columbia Law School's Sabin Center for Climate Change Law. "FERC has long maintained that this is not its responsibility, including during the Obama administration." "Given the split decision an appeal seems almost inevitable," he added. "So its long-term effects are uncertain." The case centers on FERC's climate and environmental justice analysis in a 2015 environmental impact statement for the Southeast pipelines. The court tossed the environmental justice claims yesterday, but the climate arguments were successful. Sierra Club and other groups had argued that the agency's environmental impact statement should have carefully quantified emissions from the power plants that ultimately burn natural gas delivered by the pipelines. In court filings and during oral argument in April, government lawyers defended FERC's less precise approach to studying downstream climate effects. The agency concluded last year that impacts would be insignificant, largely because emissions from power plants receiving the natural gas would be offset by reductions in coal combustion. 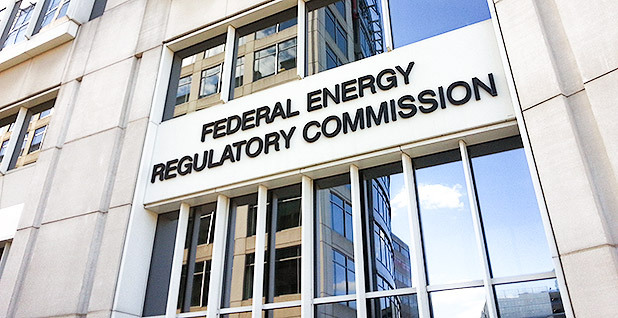 FERC and industry lawyers have further argued that detailed calculations of downstream impacts are too speculative to be useful because of uncertain and constantly changing market conditions and other variables (Energywire, April 19). "FERC provided this litany of excuses for why it couldn't really take a meaningful look at those greenhouse gas and climate impacts, and today the D.C. Circuit rejected those excuses," Benson said. The case is making waves in the environmental law community. James Coleman, a Southern Methodist University law professor who has researched the government's obligations to consider climate impacts, said he was shocked by the decision — especially in light of a recent D.C. Circuit ruling that rejected a Sierra Club challenge to another agency's climate analysis. Last week, a separate panel of judges rejected environmentalists' claims that the Department of Energy didn't adequately consider indirect greenhouse gas emissions from liquefied natural gas exports in Freeport, Texas. Judge Robert Wilkins, an Obama appointee, endorsed nearly the same argument that FERC has pushed in the Sabal Trail case: that market uncertainties make it too difficult to precisely analyze indirect greenhouse gas emissions (Energywire, Aug. 16). "That was a classic NEPA decision — that the agency has expertise here on what's feasible and what's not to consider, so it was reasonable to say that [further analysis] goes too far," Coleman said. "It seemed a week ago like this was all resolved, and I had assumed that the decision would be consistent." Burger, of Columbia, also pointed out the contrast from last week's order, noting that "today's decision leaves the jurisprudence a mixed bag." Still, yesterday's ruling gives environmentalists significant new ammunition, Coleman said. "It's huge because this is an argument that's going to be repeated in many different contexts," he said. "People are going to make it for new oil pipelines and for every natural gas decision." Richard Revesz, director of the Institute for Policy Integrity at New York University School of Law, said the ruling is in tension with the Trump administration's efforts to streamline pipeline approvals, leaving the government more legally vulnerable if it skirts any level of environmental review. "But as these recent rulings show, agencies will lose legal challenges when they don't appropriately consider climate change impacts," he said, also referring to a recent district court decision ordering the Interior Department to consider the impacts of burning coal while approving a mine expansion. "Rather than speeding the process of infrastructure and energy development, the Trump administration has risked slowing it down." Coleman, who agrees with FERC that the many moving pieces surrounding natural gas use and production make precise downstream analysis unreliable, warned that the court's favored approach could prove problematic. "The court says, 'Well, we'd just like to see those numbers,'" he said. "Well, if those numbers don't provide any predictive power, how are the agencies attempting to use them? "If FERC wants to avoid doing that kind of speculation," he added, "it's going to have to explain better to the courts because it's obviously lost at least two judges on the D.C. Circuit." Now, all eyes are on FERC's next steps with regard to the Southeast pipelines. The agency is expected to move quickly to address its climate analysis in light of the court's decision, but the pipelines may be in limbo in the meantime. ClearView Energy Partners analyst Christi Tezak said the D.C. Circuit's decision to vacate FERC's approval of the project on NEPA grounds may be a first. But, she noted, the court has not yet issued its mandate. FERC now has the opportunity to seek rehearing and, if necessary, Supreme Court review. "Therefore, while potential suspension of operations on Sabal Trail and the balance of the Southeast Market pipelines is possible, it is not yet a reality," she wrote in a memo last night. Benson said environmental lawyers will be monitoring the situation closely. "The court did vacate the certificate order, so it's basically an illegal project right now," the Sierra Club's Benson said. "It's operating without a valid certificate order, so we're going to be taking the appropriate next steps." FERC declined to comment on what it plans to do next.